Inspire your own dreams of taking an idea and building it into a million dollar company with this DVD that tracks everyday people who accomplished extraordinary success. How do average people take an idea and turn it into million dollar companies? 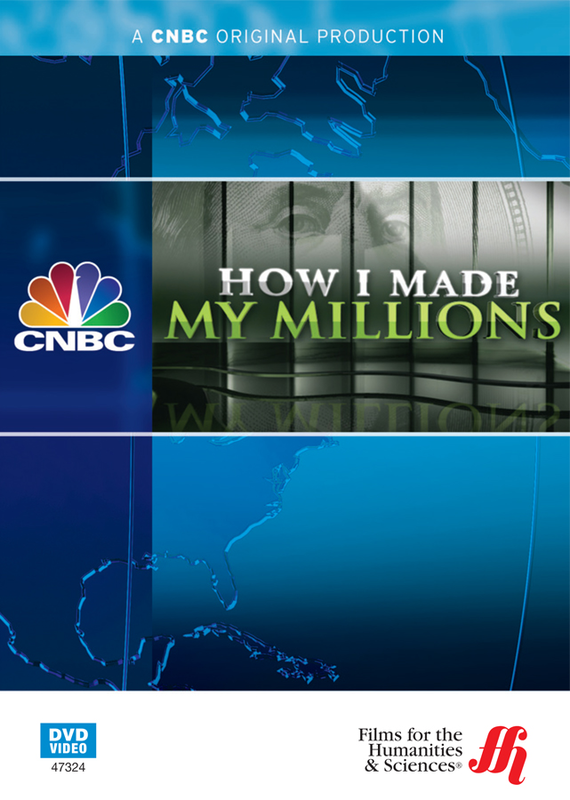 If you ever wondered how they do it, you'll enjoy this entertaining and informative DVD. Part of the CNBC series of the same name, this DVD explores three companies from start-up to the present. The first company is SimplyShe, a brand created to fit lifestyle needs of women. CEO and Creative Director Maria Peevey started the company in 1999 and hit a homerun with the addition of pet clothes and accessories. Appearances on Oprah and a feature in People magazine three years later didn't hurt either. The DVD then goes on to take a look at Two Men and a Truck. This small company was started by two high school teens to make money after school. Today the company has over 4,000 movers and 2,000 trucks. It now offers local, long distance and business moving services, and grosses $170 million a year. Finally, this film traces the history of beverage brand Vita Coco. Started by two women who were lifelong friends, the pair met a couple of Brazilian women while visiting New York. When asked what they missed about Brazil, the Brazilians replied "Agua de coco" and in 2004, Vita Coco was born. In just five years they had a 60% share of the coconut water market. Today the company is available in over 100,000 stores in 14 countries. These stories may inspire your own successful venture. This DVD is not available in French-speaking Canada.